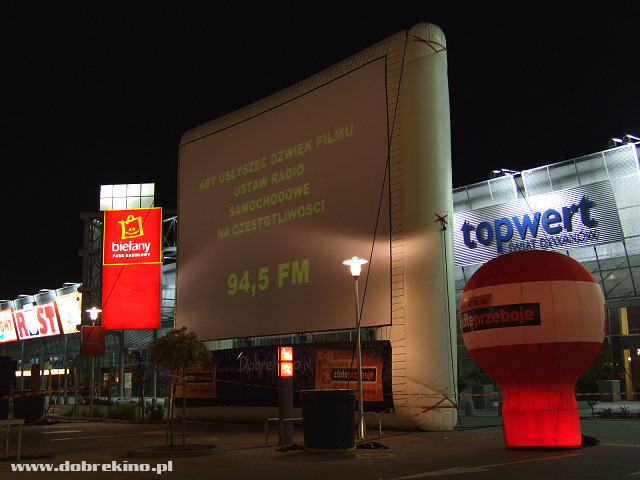 Gazeta Wyborcza - "Drive-in cinema"
(...) better quality, films presented on a film tape, on a large screen - size 16m x 9m! 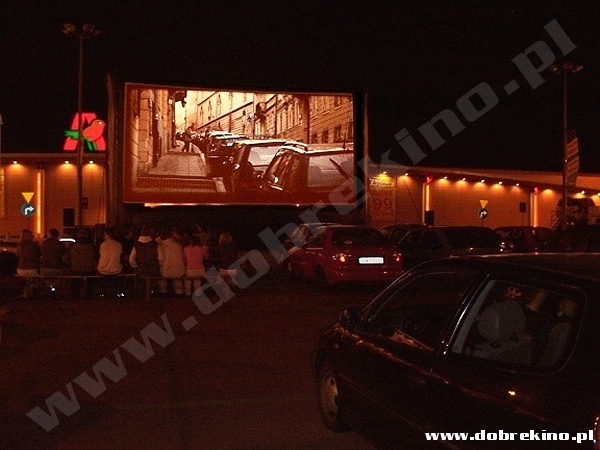 The programme of the shows is set up by the audience. 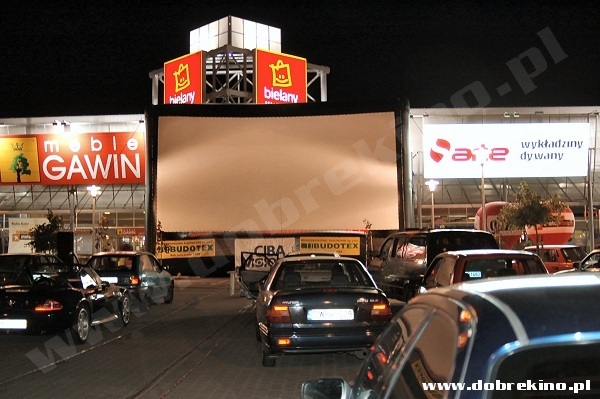 Just sent a text message for a certain film. 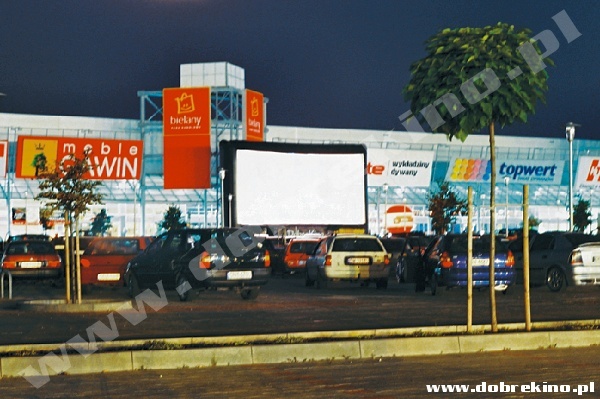 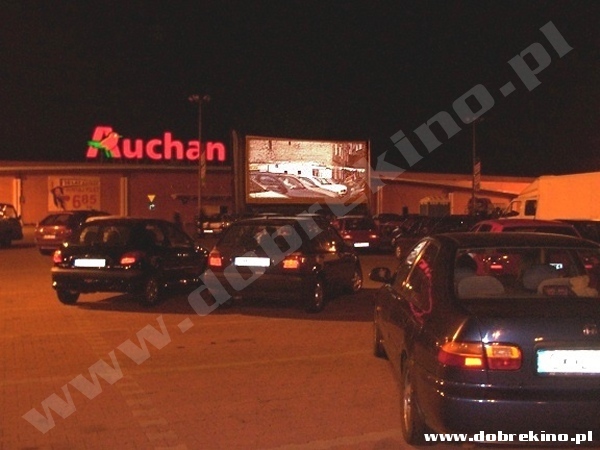 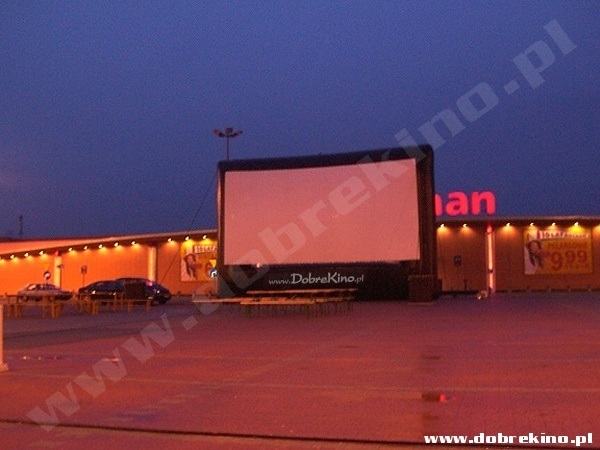 Drive-in cinema shows prepared on the occasion of the jubilee of Auchan supermarket in Mikołów.